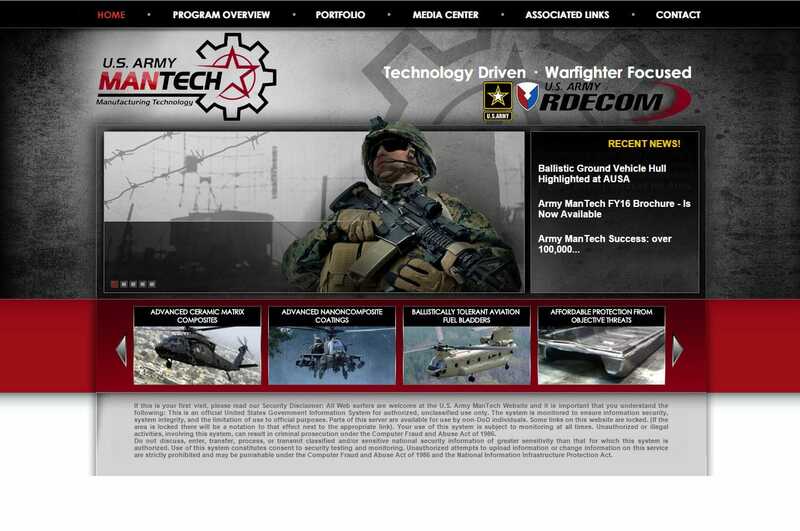 Website design Hampton VA | After VISIONEFX performed the website redesign for USI , we were asked to proceed with new web design for the US Army Mantech program. The website was designed to reflect the brand communication for Initiatives and programs to support the warrior in the field. VISIONEFX has an extensive portfolio of website design GSA consultants, GSA contract holders websites. VISIONEFX develops and designs websites for business and provides web design in Virginia and the USA. When searching for Website design Hampton VA look no further than the design professionals at VISIONEFX.